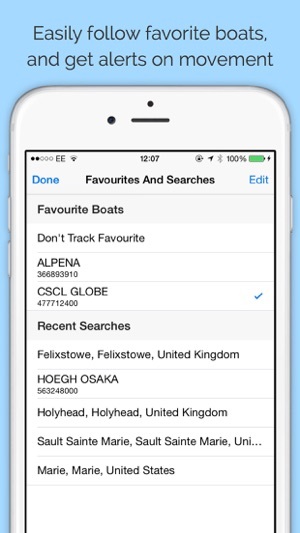 An optional In-App purchase even sends you alerts when a boat you track sets sail or arrives - perfect for people with loved ones at sea, for tracking ferries and rescue vessels - or following cargo across the world! * Full boat information - picture, speed, where its from, etc. 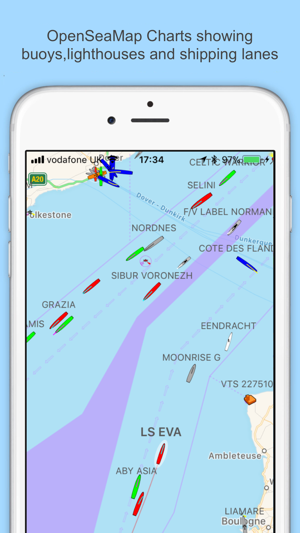 Boat Watch now gives you the option to buy official NOAA nautical charts for the US, so you get the same view of the ocean as the ship's navigator. 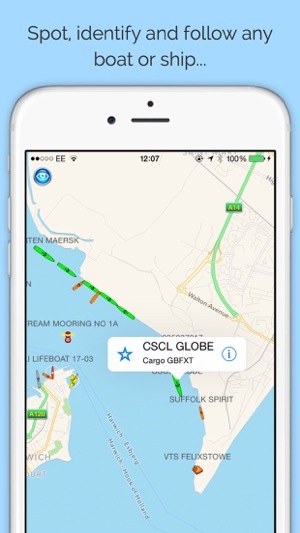 See the shipping channels, buoys, lights and hazards and why a ship is taking a particular route. 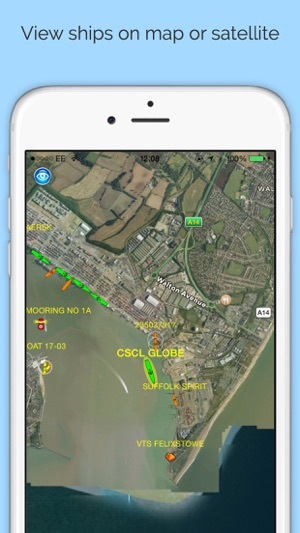 Pocket Mariner are committed to providing great customer service and continually improve our Boat Watch apps. If you have any questions please email us via help@pocketmariner.com and we'll be happy to help. Boat Watch should only be used for basic navigation reference and should not be solely relied upon to determine precise locations, proximity, distance, or direction. Support for full screen on iPhoneX. Improvements in display for ships with no recent update. Neat app. Great learning tool! I was so excited to download Boat Watch. I live on Lake Erie on the East side of Cleveland, Ohio. I see ships multiple times a week and at all hours of the day and night. The free version of Boat Watch was so impressive I decided to spend $4.99 for the better one. 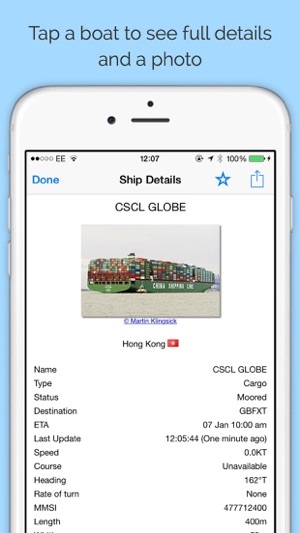 Now every time I see a ship, I open the app. And EVERY time, the ship that I can SEE out my back window is not shown on my app. I get no information and it simply isn't visible on the app. I would not have even taken the time to write a bad review except that when I went to rate the app through the app, the developers made it impossible. If you want to rate the app a 3 or lower, they reroute you to contact the developers. I clicked on the email link and the app FROZE. I tried multiple times and even tried after rebooting my iPhone. It was then that I decided I should alert others. I do not recommend buying this app. © 2019 Pocket Mariner Ltd.